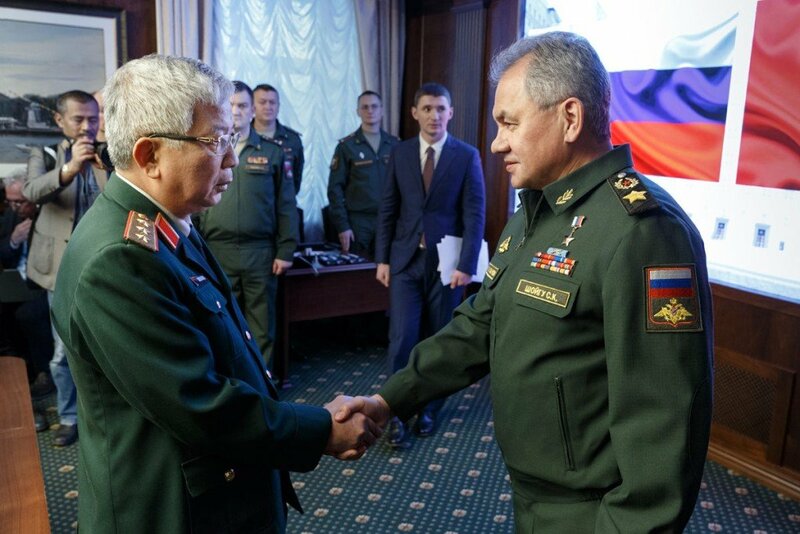 MOSCOW, the Russian Federation (BulgarianMilitary.com) – Yesterday (3the December), the Russian Minister of Defence held a meeting in Moscow with the Deputy Minister of the National Defence of Vietnam, Senior Lieutenant General Nguyen Chi Vinh, who was on a visit to Russia, leading a Vietnamese military delegation that was also scheduled to participate in the fourth defence strategy dialogue between deputy defence ministers of both countries, which also took place yesterday, learned BulgarianMilitary.com. “Vietnam is our long-standing partner, relations with which are of special, trusting nature. We see the progressive dynamics of the bilateral political dialogue at the highest level,” he added. Sergei Shoigu stressed on the paramount importance that the Russian Defence Ministry attaches to the implementation of the agreements concluded by Russian President Vladimir Putin and President of Vietnam Nguyen Phu Trong in Sochi and those signed by Russian Prime Minister Dmitry Medvedev during his visit to Hanoi last month. In conclusion, emphasis was placed on the increased number of delegations exchanged between the defence ministries of both sides involved in the meeting. According to the Ministry of Defence of the Russian Federation it is necessary to hold a regular strategic dialogue on defence at the level of deputy heads of military departments. Later the same day, a similar meeting took place, namely the fourth round of strategic defence dialogue chaired by the Deputy Minister of Defence of the Russian Federation Colonel General Aleksander Fomin and Vietnamese Deputy Minister Sen. Lt. Gen. Nguyen Chi Vinh. There, they discussed mostly the major defence achievements in 2018 and specified the cooperation plan for 2019 that includes delegation exchanges, personnel training, military technique, sharing experience in joining UN peacekeeping operations and opinions on strategic issues, and military medicine. The Russian Deputy Minister of Defence confirmed that Russia will continue to contribute to bilateral cooperation within the Vietnam-Russia Tropical Centre and to support initiatives and activities proposed and organized by Vietnam in 2020, when the Southeast Asian country will chair the ASEAN Defence Ministers’ Meeting Plus meeting. In response, the Vietnamese Deputy Minister Vinh stated that Vietnam will continue to participate in the multilateral activities conducted by the Russian Defence Ministry. He said conditions are ready to be created to allow Russian naval ships to visit Vietnamese seaports. The two sides drafted a list of joint activities, which to be held in the Vietnam-Russia Friendship Year 2019 and 2020 and agreed on the fact that the Russian- Vietnamese defence cooperation is one of the important factors supporting the regional security, peace, cooperation and development.